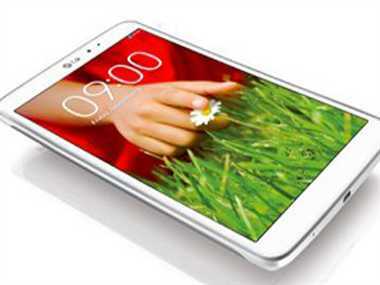 LG Electronics Inc launched its first tablet with a high-resolution screen LG G pad 8.3. LG G Pad 8.3 is launched in Wi-Fi version only; there is no SIM card connectivity. G Pad 8.3 is priced at $ 510. G Pad 8.3 will be available in South Korea in the next week, and by the end of this year it will be available in the 30 countries. The G Pad 8.3 has 8.3 inches display of resolutions 1,920 X 1,200 pixels which is better than Apple’s 7.9-inch iPad Mini. G Pad 8.3 is powered by Qualcomm’s 1.7GHz quad-core Snapdragon 600 processor with 2 GB RAM and runs on Android 4.2.2 Jelly Bean Operating System.